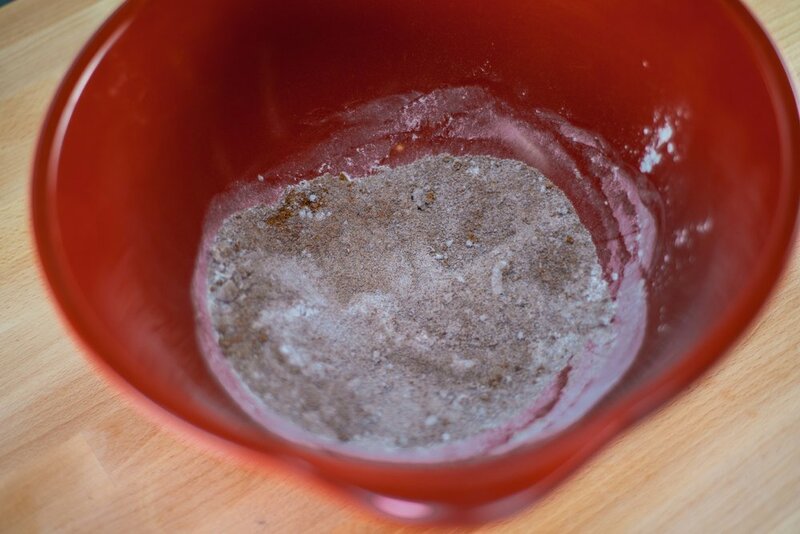 In a large mixing bowl stir together the date or coconut sugar, cinnamon, and tapioca flour. 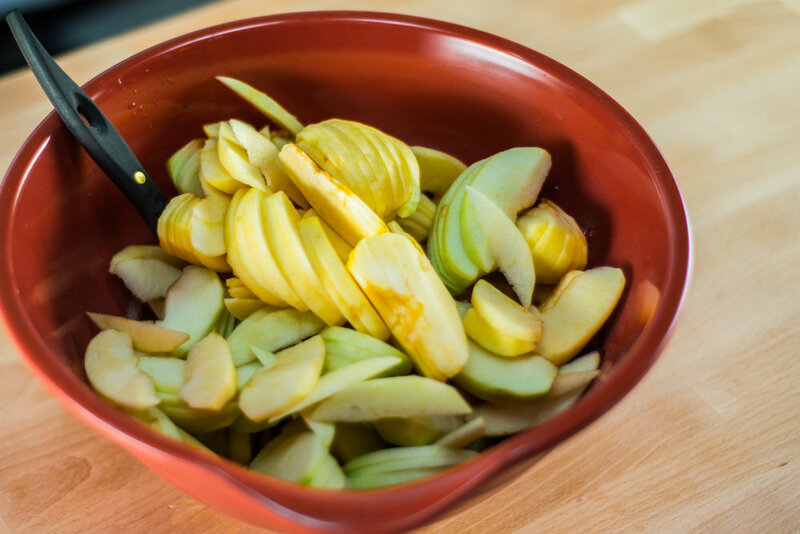 Add the lemon juice and apple juice or water, and stir well, until all apples are coated. Peel the apples, and slice thinly. Add to the bowl and stir gently until the apples are coated. Pour into a 9X13 baking dish. Preheat oven to 350º. In a separate bowl combine the rolled oats, chopped nuts and flour, mixing well. 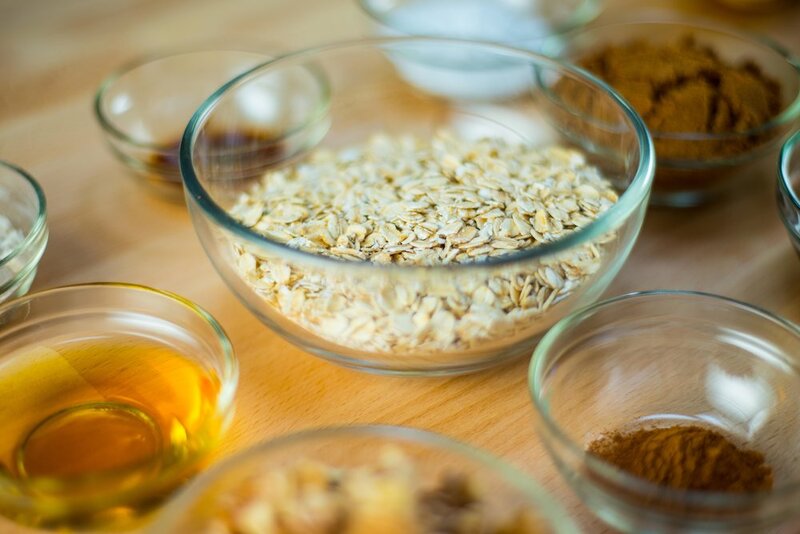 Combine the maple or date syrup and pour into the oat mixture. 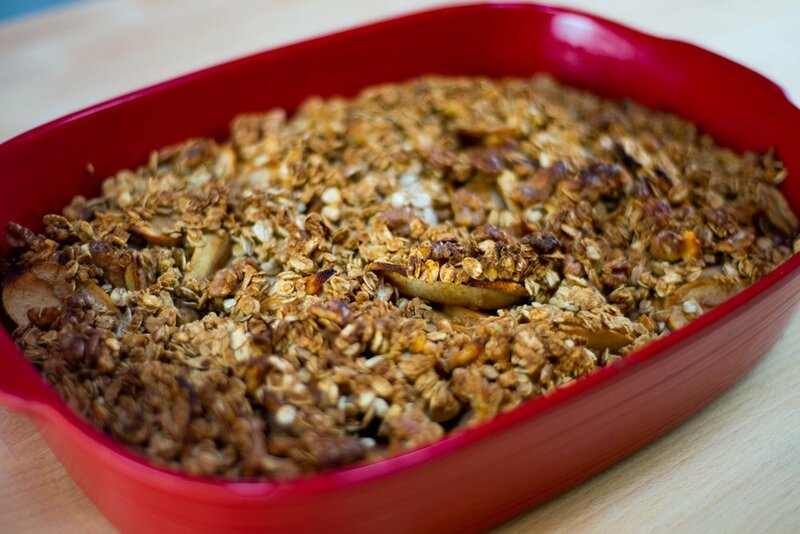 Mix well, and layer over the top of the apple mixture. Lay a piece of parchment paper over top of baking dish. Bake for 50 minutes until bubbly, removing parchment paper after 30 minutes. Take from oven and let rest for 30 minutes before serving. Enjoy!